Being a restless artist can be a blessing or a curse, depending on some variable combination of one’s audience, popularity, and the depths of experimentation. David Bowie, perhaps the greatest and most effective chameleon in rock n’ roll history, knew this, effortlessly walking a line between accessible and obscure. 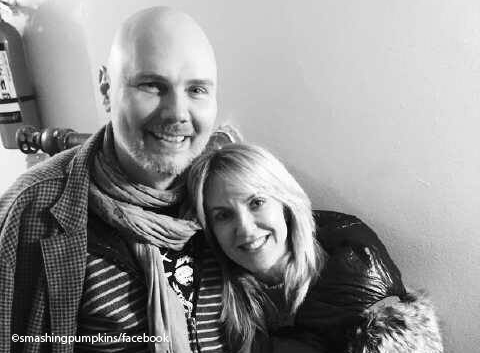 Billy Corgan knows it, too, and with each passing year in the life of The Smashing Pumpkins, his ability to balance that combination is becoming more and more focused. The Smashing Pumpkins’ “In Plainsong” tour touched down in Chicago on Thursday, part of a U.S. tour following in the footsteps of last year’s leg of the same concept – a ‘electro-acoustic’ re-envisioning of the band’s catalog. In more indulgent times, this concept might have been lost on anyone but the diehards, with re-arrangements of classic SP tunes alongside songs so rare in the seemingly bottomless depths of the Corgan songbook that I found it hard to even believe what I was seeing at times (“Whir”? “The World’s Fair”? Seriously? I would have paid full-price for those alone). I note the balance between popular songs and experimentation because it’s something Corgan has struggled with in the past – not so much as an artist, but in terms of the way he’s perceived by longtime vs. casual fans. Old-school, bootleg-obsessed fans want to see a setlist front-loaded with rarities, while fans who may favor a certain era hope to see ever SP single that ever hit their radios. With a catalog as extensive as Corgan’s and taking into consideration his desire to keep things interesting as opposed to just tossing out a by-the-numbers jukebox review, neither camp can claim a win 100% of the time. But the “In Plainsong” tour has been different in that that balance is very strong, providing everyone with wide-eyed, takeaway moments and offering some surprising new takes on accepted arrangements. An organ-heavy version of “Disarm,” a folky version of the formerly synth-driven “Pinwheels,” fully acoustic, stripped versions of “Mayonaise” and “Tonight, Tonight” – there was a little something for everyone without compromising so much of what keeps the Pumpkins’ interesting after all these years – the willingness to go out on a limb in favor of simply trying something new. And while the shift out of the Siamese era to a set of tunes stepped in electronica was a bit jarring for some members of the crowd still riding the Siamese high, the ebb and flow of the setlist kept everyone on board (though after a languid but lush rendering of Natalie Imbruglia’s “Identify,” re-energizing things with “1979” was a good idea). Bringing Iha back out for a full band version of The Rolling Stones’ classic “Angie” as a closer defined just how much of a wild-card this tour has proven to be, but in the best sense of the word. Free of obligation to play what’s merely expected, and with a liberal dose of surprises thrown in for good measure, The Smashing Pumpkins are in a good spot as they face down the rest of 2016. Corgan’s upbeat attitude, Chamberlain’s otherworldly drum skills, Iha’s sudden and welcome return, as well as solid musicians like the vastly underrated Jeff Schroeder on lead guitar and Katie Cole on backing vocals – everything points to good things on the horizon. Liz Phair kicked off the night in an all-around celebration of what made Chicago a focal point of the national music scene in the 1990s. Her tight, hooky set of acoustic renditions was a perfect lead-in to the sprawling Pumpkins’ set and leaned heavily on her 1993 masterpiece Exile in Guyville. She even managed to sneak in a new song, “Dog Days Behind Us,” a lovely, lilting paean to a lost love and Chicago itself. No one in the place could argue with that.